Walt Hecox, founder and former director of State of the Rockies, addressed a packed, standing room only room audience to introduce State of the Rockies and its origins at Colorado College Thursday, Jan 25 at Le Meridian in Denver where the Outdoor Industry Association held a panel discussion and announced the results of this year’s poll. For the first time the poll was released in conjunction with the Outdoor Retail Sales Convention which moved from Idaho to Colorado. 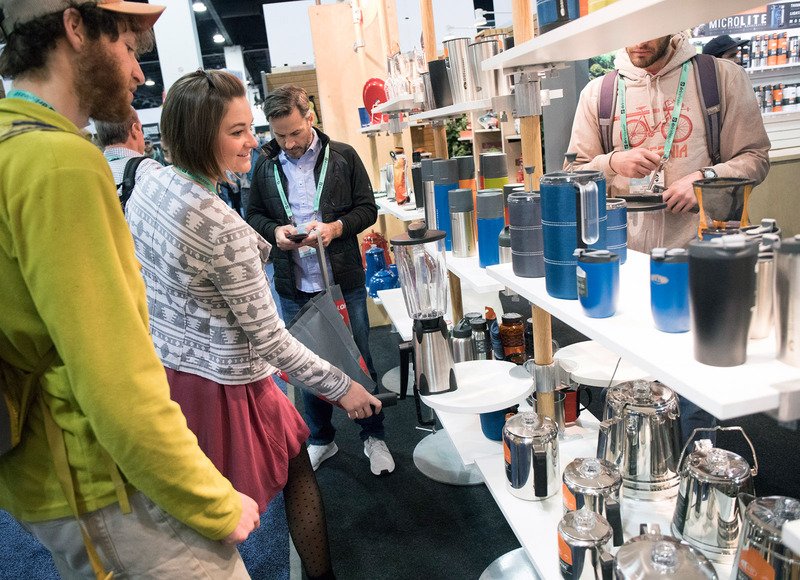 Kelsey Maxwell and Nate Goodman tried out some of the items on display during their experience of the busy Outdoor Retail Sales Convention in Denver. The students visited the convention after they listened to CC’s Walt Hecox introduce this year’s poll results for the State of the Rockies. Maxwell is an intern and reporter for the Office of Sustainability. Five CC students attended the release of the State of the Rockies Project Conservation in the West Poll in January at Denver’s Colorado Convention Center. 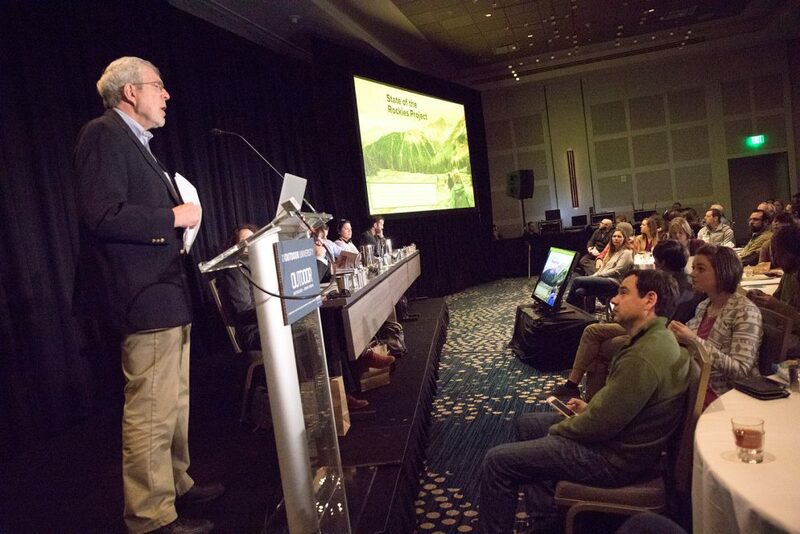 They joined the Outdoor Industry Association, the Center for Western Priorities, and two of the nation’s leading pollsters for the release of the poll and a discussion of the evolving opinions and priorities in the land-management conversation in the West. Presenting at the event, “State of the Rockies and Conversation in the West: A Discussion of Bipartisan Issues and Opinions in the Rocky Mountain West,” was Walt Hecox ’64, professor emeritus of economics and founder of the State of the Rockies Project. The poll, now in its eighth year, continues to receive media attention. 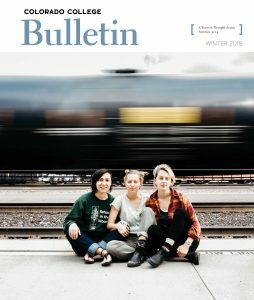 Outside magazine covered the results in an online story titled “Busting 11 Myths About Westerners and Conservation.” A variety of media outlets, including newspapers, public radio stations in Colorado and Arizona, and the Outdoor Industry Association’s publications also have carried the poll results.